May 2016 seems to be the month for pivotal novels in long-running series. This is true of 15th AFFAIR, the latest installment in the Women’s Murder Club series by James Patterson and Maxine Paetro. It is difficult to believe that San Francisco Police Department homicide detective Lindsay Boxer and her friends have been clipping along for 15 years, yet the numbered titles of the installments of this must-read series tell me that is so. Patterson and Paetro have never been reticent to bring change to the series --- one never knows what is going to happen from one moment to the next or who will make it from one book to the next --- and some major ones are hinted at, if not fully realized, here. There is a mystery within a mystery in 15th AFFAIR. As the book commences, Lindsay and her partner, Detective Rich Conklin, are dispatched to a multiple murder scene in a swank San Francisco hotel. Mini-carnage doesn’t quite cover it. Gregory Chen is one of the victims; it becomes almost immediately clear that he was at the hotel for a jump-the-fence interlude, though there is no sign of the woman he was meeting. Their rendezvous, however, was apparently being recorded by two people in an adjoining room, who were also murdered, as was a hotel housekeeper. "[W]hile the book is complete in itself, the conclusion is a cliffhanger of sorts that will provide the next installment with a jumping-off point that may well echo through the series permanently." 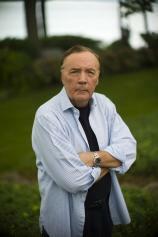 But just as Lindsay and Rich begin to get into their investigation, Lindsay’s husband, Joe, goes off the radar. Hotel security footage subsequently shows that he was at the hotel while the murders were occurring. Worse, when Lindsay and Rich go to Chen’s house for a notification visit, video indicates that Joe had been there as well. The investigation --- and Lindsay’s bewilderment concerning the whereabouts of her husband, as well as his involvement in her case --- has to take a back seat to a disastrous plane crash at San Francisco Airport that results in hundreds of fatalities, including that of...Gregory Chen. How could Chen have died in the crash yet been murdered in a hotel room previously? Where is Joe? And what is the connection that Lindsay uncovers between her husband and the woman who was with Chen? You want mystery? 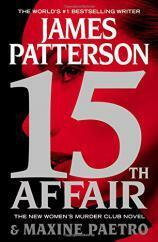 With Patterson and Paetro, you get mysteries aplenty in 15th AFFAIR, along with a bit of domestic drama as Lindsay juggles her professional and parental responsibilities (Joe gives guys a really bad name here), not to mention her emotions. And while the book is complete in itself, the conclusion is a cliffhanger of sorts that will provide the next installment with a jumping-off point that may well echo through the series permanently. Longtime fans of the Women’s Murder Club will recall that Patterson and Paetro are a creative duo who are not at all reticent to change the playbook of this long-running series, and they may have yet another one coming now. If you have been away from this intriguing San Francisco-based police procedural for whatever reason, 15th AFFAIR will give you more than ample cause to come back, and to stay.